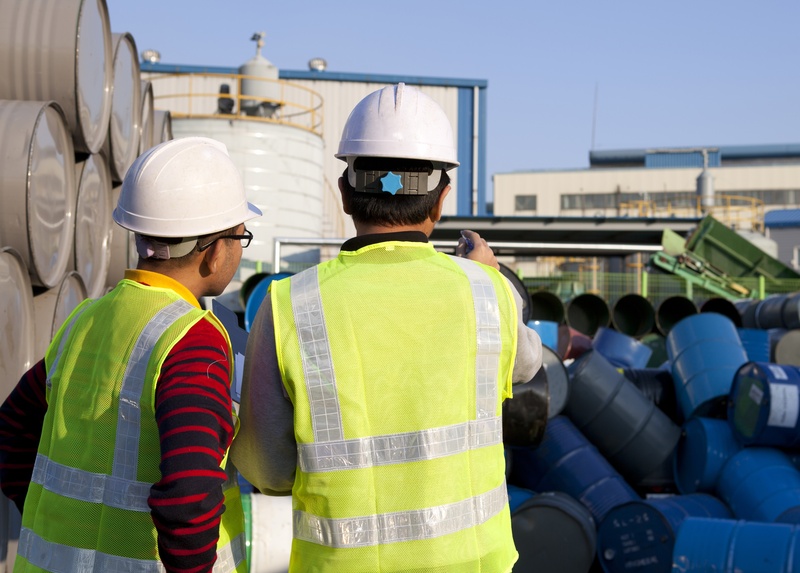 Frequently, plant managers or facility operations supervisors must justify expenses for environmental compliance programs and struggle to come up with a convincing cost-benefit analysis. A spreadsheet does not give the proper context for environmental compliance expenses, however, there are strong business justifications that do impact a company’s bottom line. Paying Violations has No Business Value: With every state and Federal government agency facing continual cut-backs, enforcement penalties are increasing as a way to generate funds for the regulatory body. Agency personnel previously focused on other responsibilities like outreach and education are being moved to an enforcement capacity. Where inspectors may have been lenient in the past, giving a grace period to correct the non-conformance, violations are being issued without opportunity for comment. With the potential for fines to accumulate in the thousands of dollars for violations compounding on a daily or per-occurrence basis, money is best spent enforcing the environmental program internally rather than waiting for the outside motivator of regulatory fines. Racking up too many individual violations and excessive fines can actually force your operation to shut down. Prevention Costs Less than Cure: Environmental regulations for manufacturing operations are focused on understanding a facility’s potential to release pollutants to the environment and cause harm to citizens, both as a single entity and as part of a regional context, and then regulating (i.e., permitting) operations to prevent such events from occurring. Crafting and implementing a comprehensive environmental program appropriate for your operation, with your necessary permits as the focus, will ensure your facility will never be responsible for an uncontrolled release to the environment. Uncontrolled releases, either a single large event or smaller events over time, will result in an obligation to remediate, frequently under the oversight of a regulatory agency. Regulatory agencies are not known for their commitment to cost control and most organizations have not set aside adequate funds for remediation of such liabilities making the even a potential disastrous one for a company. Creating a program now that’s tailored to your facility and easy to follow is a fraction of the cost of even a small remediation event. Regulatory Change is Now: Regulations change incrementally, even if they are changing constantly. If you are already having difficulty complying, any regulatory changes will be difficult to address, and possibly impossible to comply with. Small changes made to existing programs are easier and less costly to implement than creating a new program from scratch once regulations become too difficult or costly to ignore. Companies that adhere to consistent and comprehensive compliance processes are better positioned for future changes. Companies that keep abreast of the latest changes and take small preventive compliance steps will ensure they’re prepared to deftly and inexpensively adapt to new regulations. Put a Price Tag on Your Reputation: Setting aside the cost of violations and remediation to your balance sheet for a moment, there is a potentially greater cost to be considered – your company’s reputation. Online databases available to the public and a growing environmental justice movement means that almost anyone has access to records on small permit violations to major releases. Citizen scientists eager to understand the industrial environment in which they work and live can take even small violations or enforcement findings and make them a community or national issue. These are high-level rationales that apply to any organization. Depending on the industry, type of business, and unique makeup of your enterprise, there are almost always additional, stronger, firm-specific justification around compliance. A good place to start is a compliance audit. Compliance audits can help companies regroup and figure out where they stand in terms of environmental regulations. Once that is understood, a solid compliance plan can be put together to move forward, prioritizing those efforts that will result in the greatest return on investment. An environmental compliance audit results in a detailed account of potential non-compliance issues associated with applicable air, water, and waste regulations. With this detailed information in hand, the facility’s regulatory compliance status and recommended actions are better understood. Most importantly, an effective compliance audit leads to a compliance plan that will meet regulatory obligations and provides for specific operational expenses required to avoid the pitfalls that so often result in runaway expenses, violations, and loss of a positive corporate reputation.